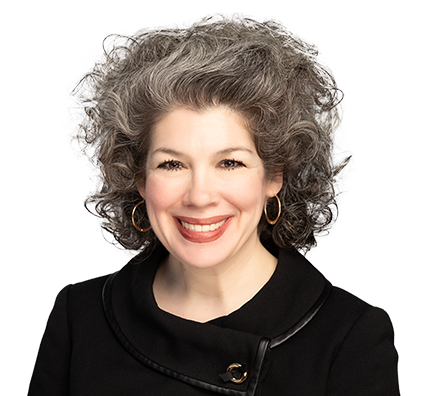 A problem-solver par excellence, Stephanie combines a litigator’s eye for detail with practical-minded business savvy to help clients identify and address enterprise risk, both in and out of court. Clients count on Stephanie to provide sound judgment and practical guidance on a wide array of business and legal challenges. She routinely represents businesses, corporate executives, and boards of directors across multiple industries, including financial services, general and tower construction, healthcare, security systems and equipment, real estate, and energy. Stephanie’s versatile litigation practice encompasses complex commercial litigation, matters involving bankruptcy and adversary proceedings, antitrust, intellectual property disputes, and regulatory proceedings. Stephanie has developed a reputation for successfully representing clients in bet-the-company or high-profile cases ranging from fraud, breach of contract, and breach of fiduciary duties, wrongful death, workplace disputes and personnel matters to unfair competition, intellectual property infringement cases, Lanham Act allegations, and lease disputes. As a member of the firm’s Financial Services & Capital Markets industry team, Stephanie has particular experience representing creditors in a variety of troubled commercial loan and consumer finance disputes. She has handled matters related to the Fair Credit Reporting Act, the Fair Debt Collection Practices Act, and Equal Credit Opportunity Act, as well as those related to consumer protection laws, the Dodd–Frank Act, and potential regulatory enforcement actions. She regularly provides guidance on how to identify and manage risk, develops policies and procedures, addresses and resolves internal conflicts and personnel disputes, and provides training and consulting to all levels within the organization. She routinely advises clients in connection with distressed assets, special assets, and restructurings, and she develops custom loans, participation agreements, and loan syndication documentation. She routinely advises on general compliance matters and works with clients in connection with mergers and acquisitions and post-merger activity. More than a litigator, Stephanie is a trusted business advisor. She often serves as outside general counsel charged with developing comprehensive legal strategies that address multiple interconnected and complex legal issues. She also routinely participates in client-related workshops and trainings on various topics of interest, including mortgage bank fraud. Represents clients in variety of litigation matters, including wrongful death, fraud, fraudulent transfer, breach of fiduciary duty, breach of contract, conversion, Texas Theft Liability Act, Deceptive Trade Practices Consumer Protection Act (DTPA), Lanham Act and patent and trademark infringement. Represents clients in negligence, gross negligence, shareholder derivative and misappropriation of fiduciary property matters. Represented professional association in litigation, corporate, labor and employment, board, administrative and regulatory matters. Represented various medical and dental practitioners in state board, administrative and litigation matters. Represented real estate investment trust and other lessors in various lease agreement disputes involving real property located in Texas and Mexico. Represented religious organization in insurance coverage of sexual abuse allegations. Defeated claims of fraud and negligence on summary judgment. Represented various plaintiffs and defendants in insurance coverage disputes. Represented widow and child of man who was shot, abandoned and killed by employees of a Webb County ranch in obtaining favorable jury verdict, judgment and settlement. Represented victim of negligent and excessive force by nightclub security guard in obtaining favorable jury verdict and judgment, including award of punitive damages that was affirmed by Third Court of Appeals. Represented alarm company in federal court against Lanham Act allegations. Obtained favorable settlement for tower construction company in defending against gross negligence allegations relating to deaths of two employees who fell from 300-foot tower. Obtained injunctive relief on behalf of daycare against state agency. Serves as standards of conduct official for clients and external compliance resource. Represented various creditors in bankruptcy court proceedings, including adversary proceedings involving preferences, fraudulent transfers and breaches of contracts, and involving contested confirmation and valuation proceedings. Also represented various creditors in state court proceedings to: recover monies owed, including obtaining writs of sequestration and possession of collateral; defend against collection efforts; and obtain injunctive and other relief. Represented creditor in obtaining dismissal of Chapter 11 bankruptcy case with prejudice for bad faith filing. Advised and trained clients on various litigation, bankruptcy, administrative, regulatory, labor and employment, and consumer law matters. Served as sole arbitrator and mediator in matter involving two financing institutions. Represented clients in handling special assets and resolving issues involving distressed debt. Represented creditor in seeking declaratory relief in multi-state dispute over real estate and non-judicial foreclosure. Advised clients and prepared documents on various financing projects, including syndication, participation and custom loans. Represented clients to recover assets in matter involving extensive Ponzi scheme. Advised clients on consumer laws, including Dodd–Frank Act and Consumer Financial Protection Bureau (CFPB), and provided training on same. Defended cable company in federal court against Fair Debt Collection Practices Act and Fair Credit Reporting Act class action case. Plaintiff dismissed complaint after motion to dismiss was filed on behalf of cable company. Stephanie enjoys spending time with her husband and two children, traveling to Wisconsin to be with extended family, coaching mock trial, attending church, watching movies, and repurposing and painting furniture. Stephanie served on the Executive Committee of the Robert W. Calvert American Inn of Court for six years, where she also served as its president; has served on two State Bar of Texas planning committees and one professional association planning committee; and has served on the capital campaign finance committee for her church.